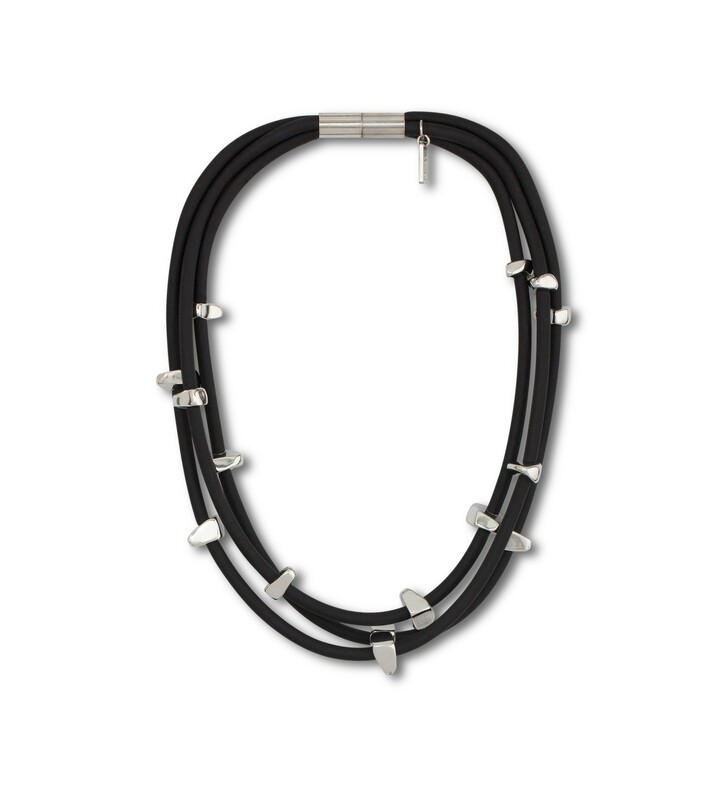 The silver color plated metal stones on this necklace are daring, elegant and incredibly bold. 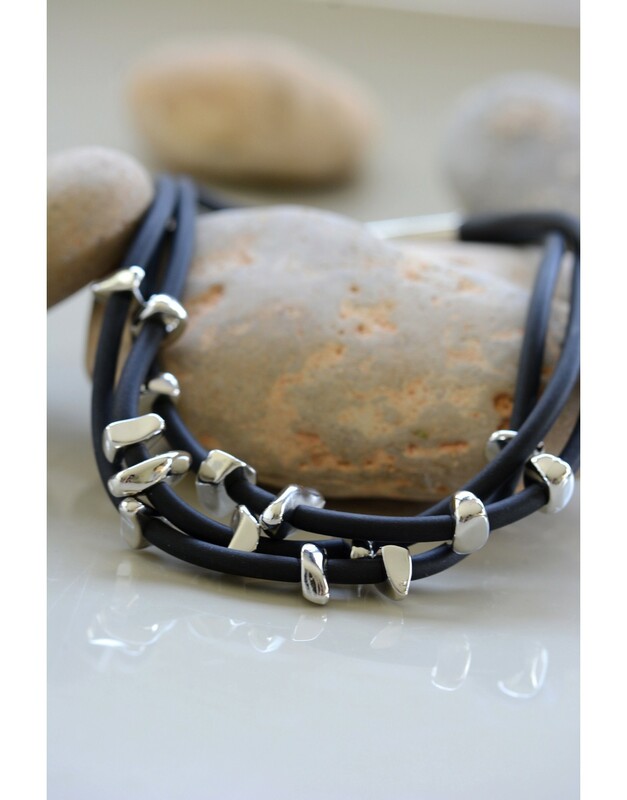 Wear this piece to show the world that you're a true fashion icon. Silver color-plated metal stones almost look like they're floating on air on this stunning statement necklace. 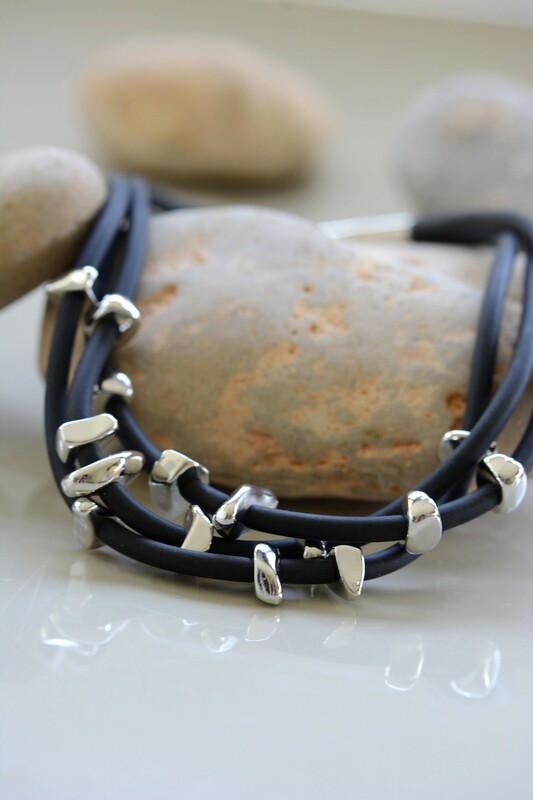 Elegant and beautiful, this design is expertly crafted from metal casting stones scattered on black rubber. The resulting piece is elegant, daring and incredibly bold. 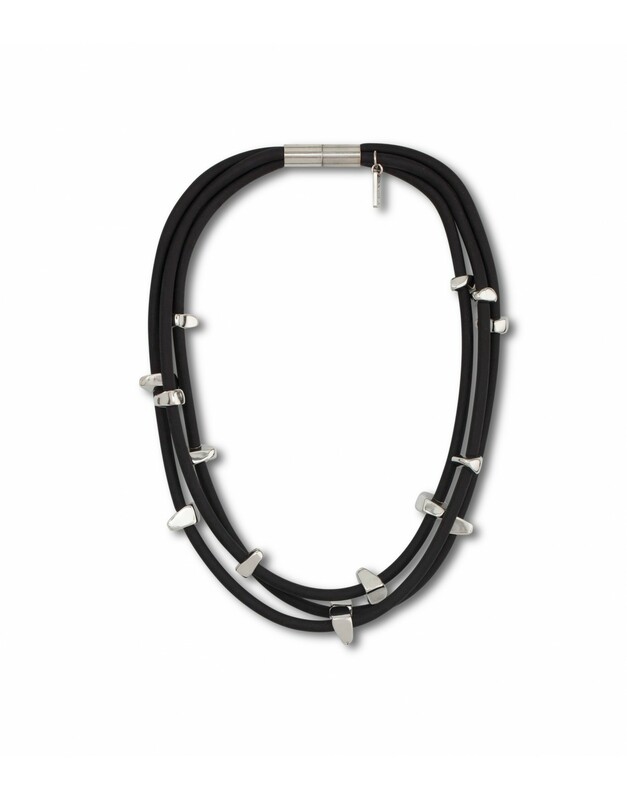 Wear this necklace when you want to stand out from the crowd and blaze your own path.